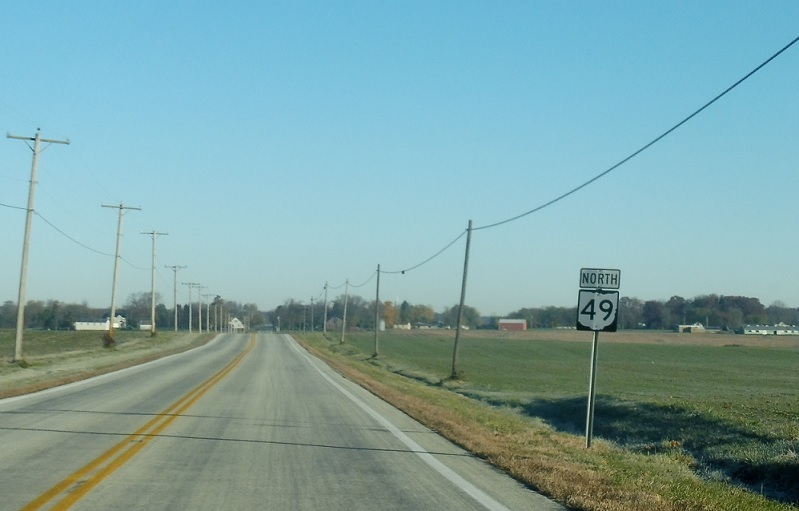 Reassurance shield after the 81 split. 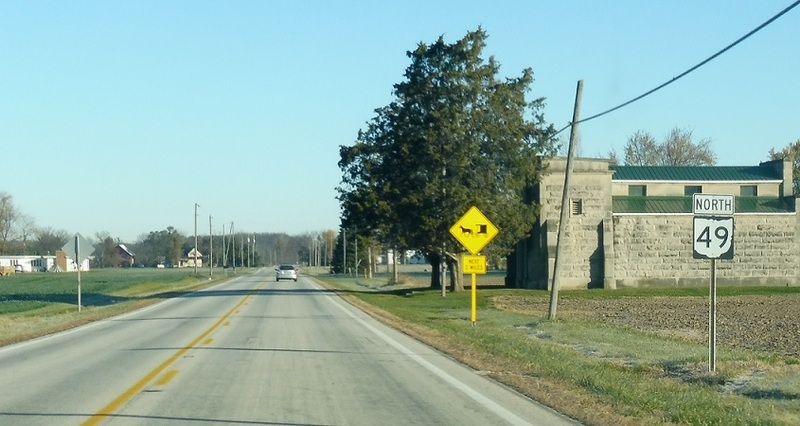 Reassurance shield as we get within a few hundred feet of the Indiana line. 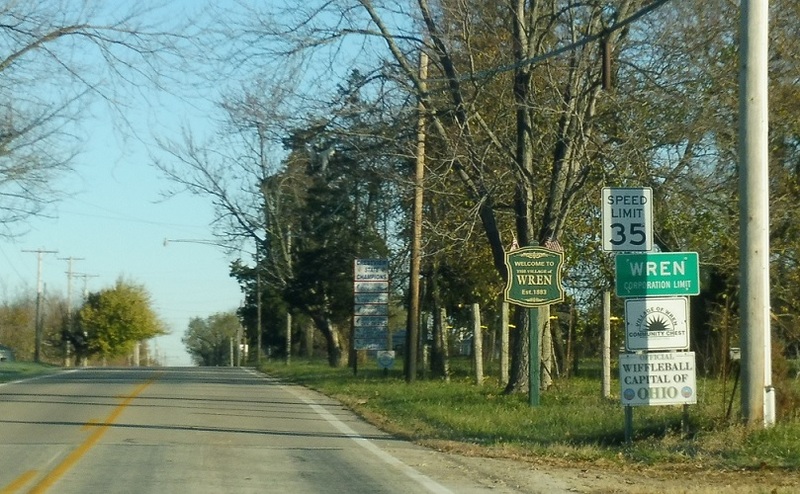 A couple miles later, we’ll enter the little town of Wren, Wiffleball Capital of Ohio! 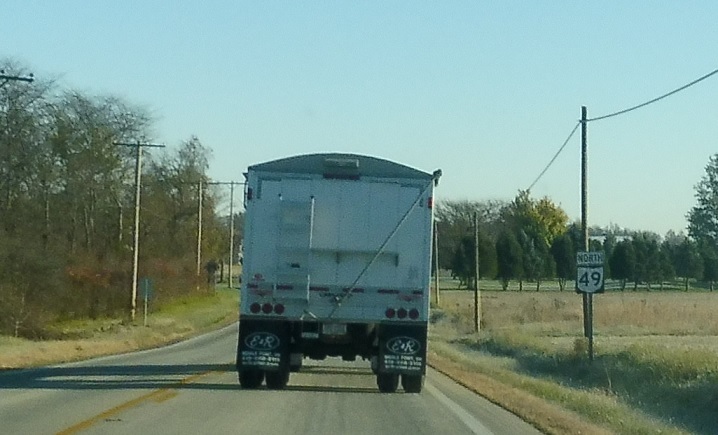 Reassurance shield as we head out of Wren. 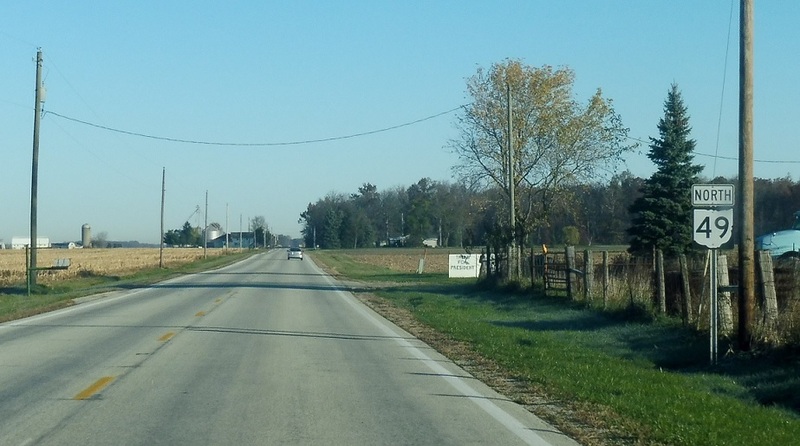 A few miles later, we’ll approach US-224. 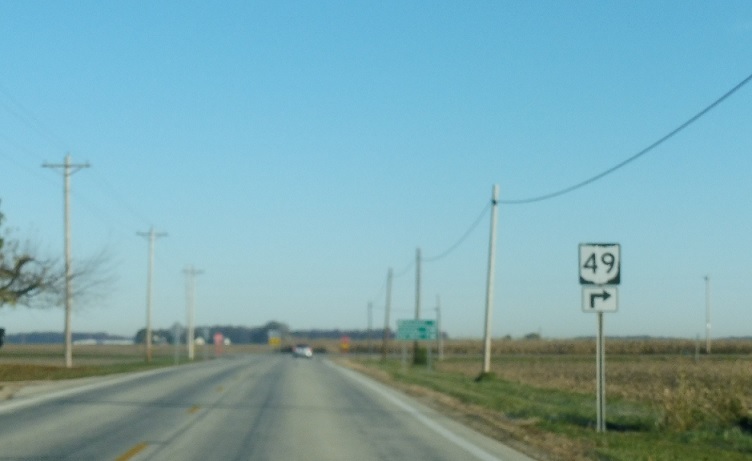 SR 49 north briefly joins 224 east. 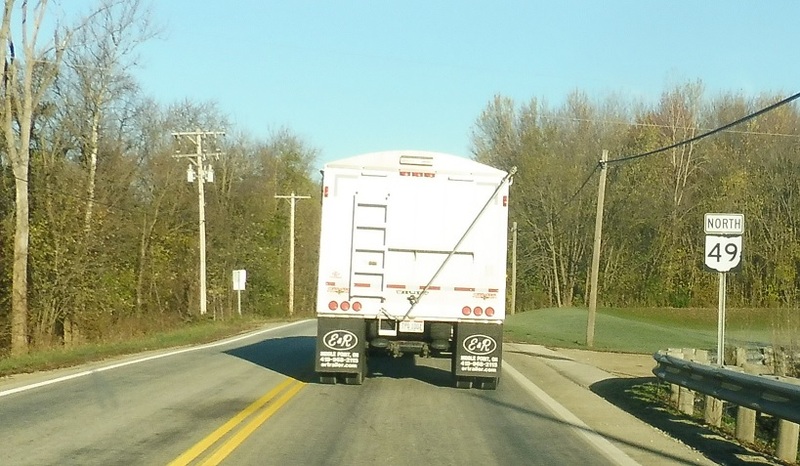 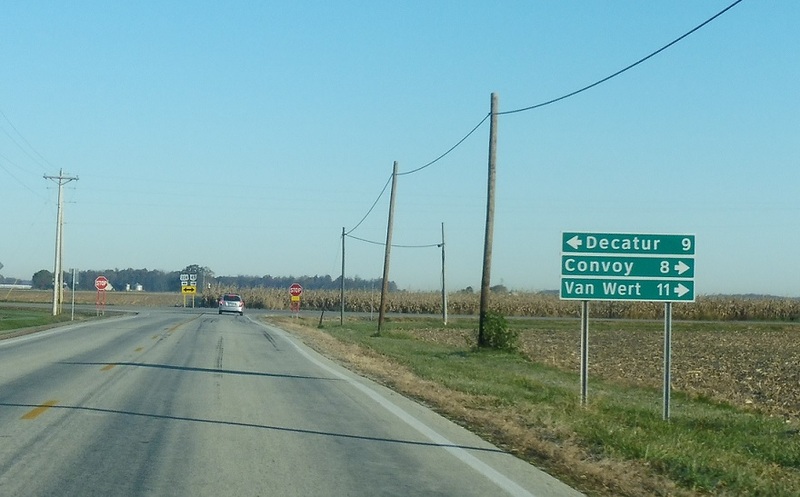 Follow 224 east/49 north to Convoy and Van Wert. 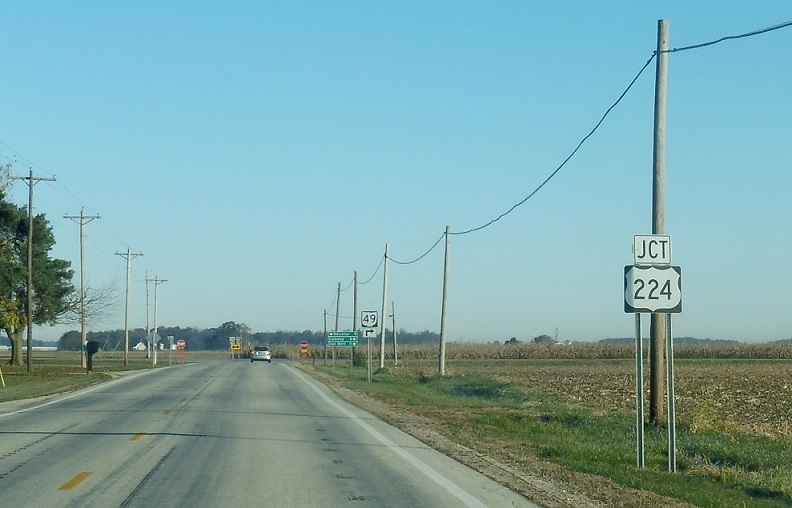 Take 224 west to Decatur, Ind. 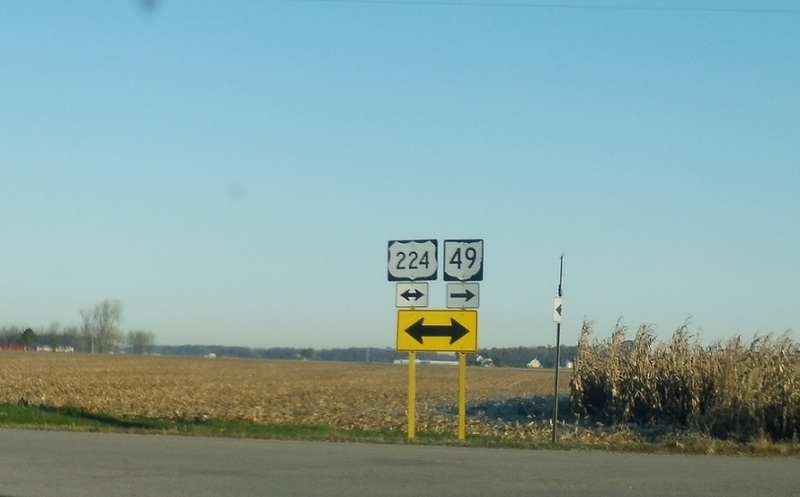 Turn right for 224 east/49 north and left for 224 west.